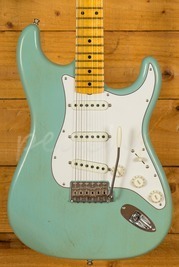 John Mayer has a reputation for being a bit of a stickler for killer tone, and as a multi Grammy Award winner and heir to the modern blues throne, you wouldn’t expect anything less. Although he might be a long time Fender user, his association with PRS has spawned a duo of delicious Super Eagles and the monster tone machine J-Mod amp. Now, for 2018, the guitar world’s worst kept secret is officially out! 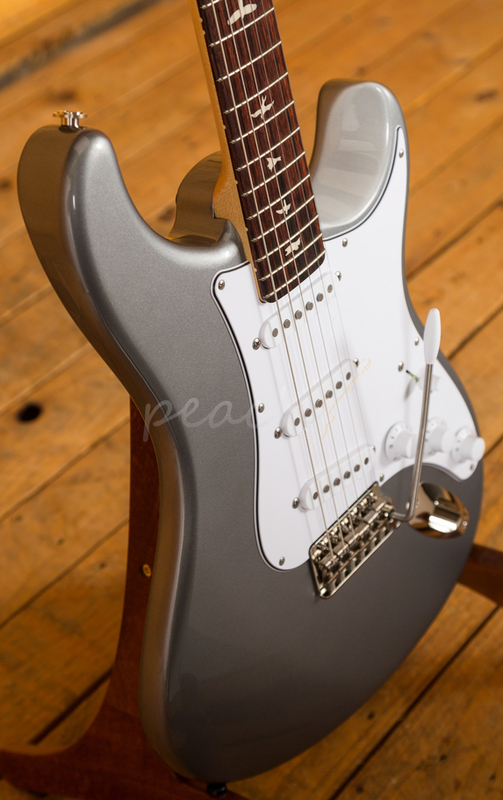 The long rumoured and hotly anticipated PRS Silver Sky, John and Paul Reed Smiths take on the classic solid body design. 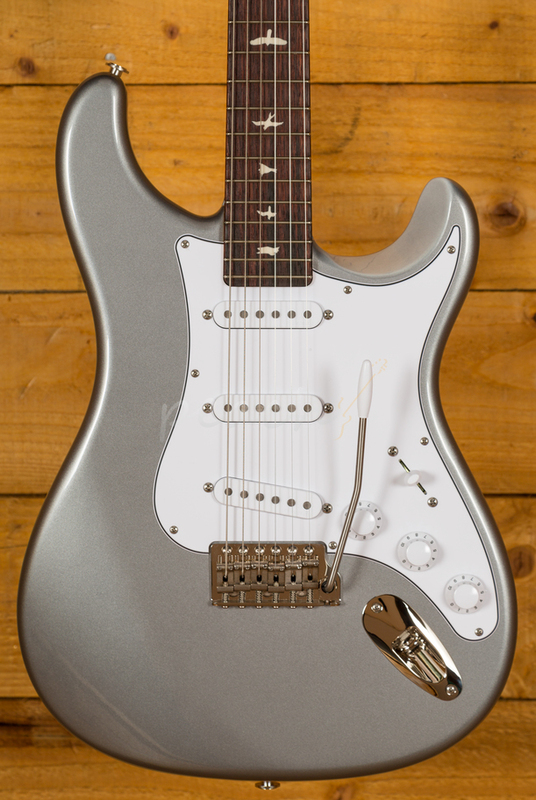 Two and a half years in the making, the Silver Sky was based around John and Paul’s favourite elements from their own vintage ’63 and ’64 guitars. 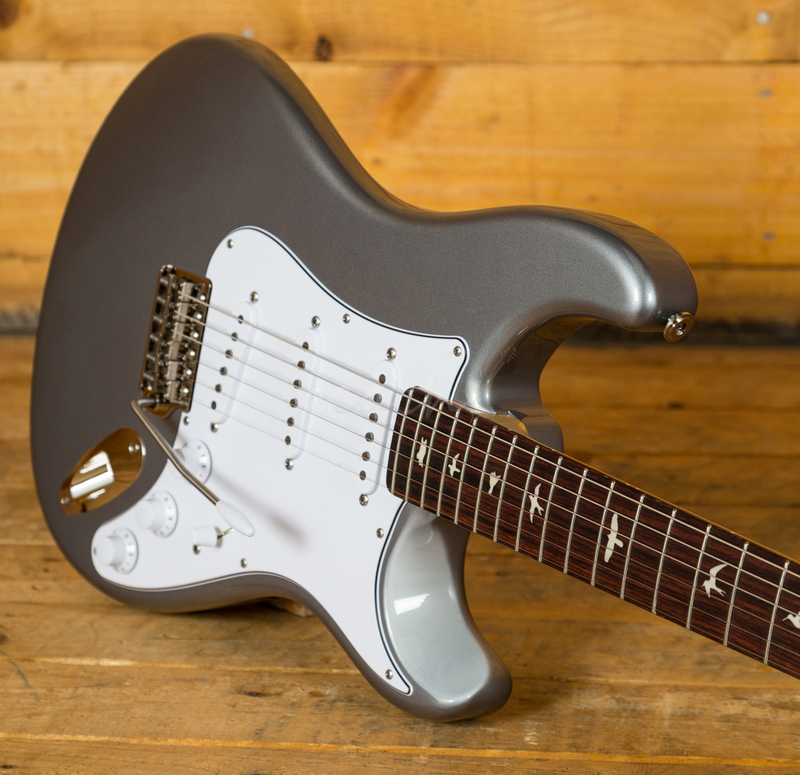 The aim was to take vintage inspired design and fuse it with the instantly recognisable PRS magic, creating the best reimagining of the classic vintage single coil guitar. 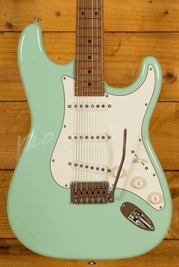 With an Alder body, it offers a traditional and supremely comfortable playing experience. 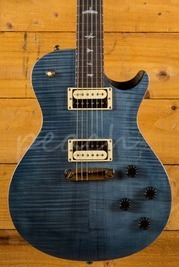 Well balanced and featuring the signature PRS lower horn scoop, it delivers great access right up the neck. The body design was based around the PRS DC3 and adjusted and tweaked until it offered the shape that both Paul and John were happy with. The 22 fret bolt on Maple neck has a 25.5” scale length, 7.25” radius and features PRS acoustic frets, these frets are slightly larger than vintage frets but a touch smaller than the standard PRS frets. 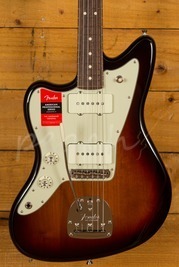 With an East Indian Rosewood fingerboard, which has small bird inlays, it offers a classic feel. 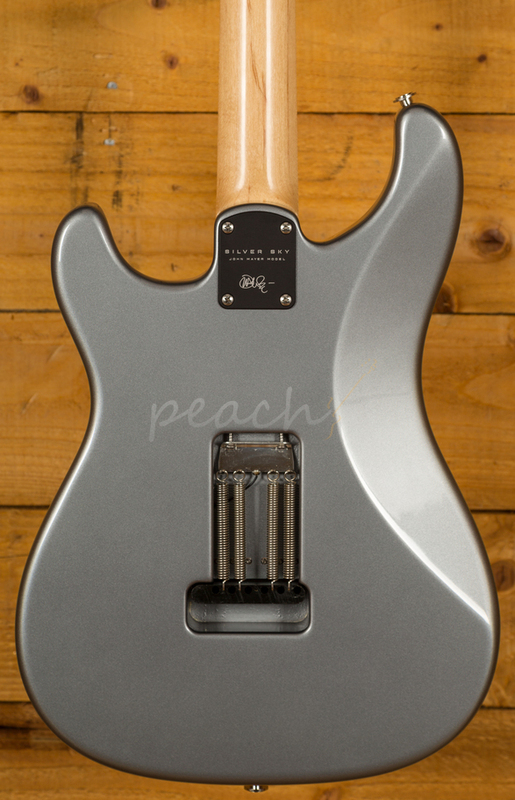 The classic PRS headstock has been reversed on the Silver Sky to give some extra clearance on the underside of the nut, it offers great tuning stability and a really exclusive look to this signature model. The trio of single coils have been designed to provide the same vintage tone we all crave but also utilise everything PRS have learnt about pickup design and construction. 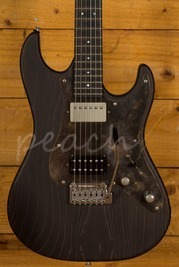 A blend of ’63 and ’64 pickups, they have a really musical high end and a higher signal to noise ratio. These precision engineered single coils are everything you would expect a tone junkie like Mayer to dig. 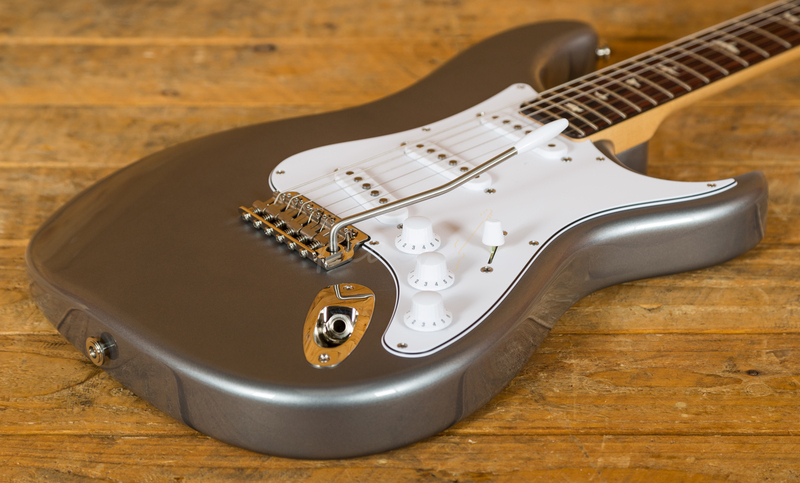 To complete this powerhouse guitar there is a redesigned bridge, this tremolo is set up differently to other PRS guitars in that because the back plate sits flush to the body, you can only drop in pitch. This gives that real vintage response and more organic sound. 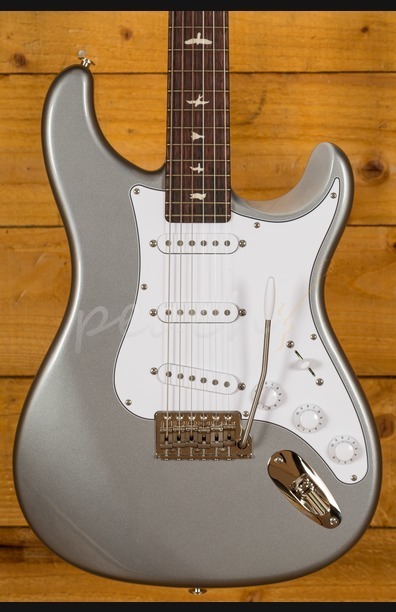 Complete with a high quality PRS gigbag, the PRS Silver Sky is a real player’s guitar, whether you are in the studio or on the stage, this guitar will deliver the goods!